In the polygamous Fundamentalist Church of Jesus Christ of Latter-day Saints (FLDS), girls can become valuable property as plural wives, but boys are expendable, even a liability. 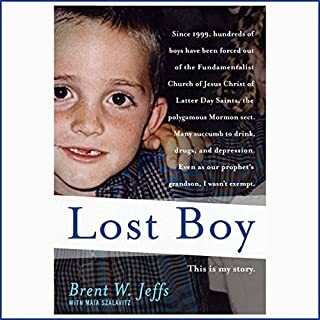 In this powerful and heartbreaking account, former FLDS member Brent Jeffs reveals both the terror and the love he experienced growing up on his prophet's compound and the harsh exile existence that so many boys face once they have been expelled by the sect. 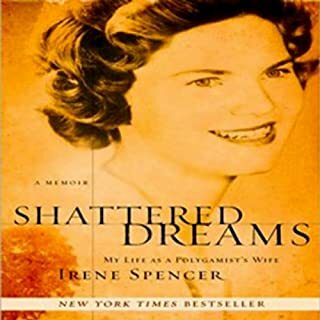 Irene Spencer did as she felt God commanded in marrying her brother-in-law, Verlan LeBaron, becoming his second wife. 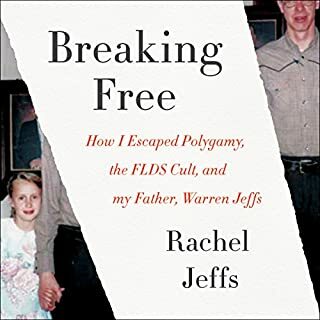 When the government raided the fundamentalist, polygamous Mormon village of Short Creek, Arizona, Irene and her family fled to Verlan's brothers' Mexican ranch. They lived in squalor and desolate conditions in the Mexican desert with Verlan's six brothers, one sister, and numerous wives and children. In Cult Insanity, Spencer reveals the outrageous behavior of her brother-in-law Ervil---a self-proclaimed prophet who determined he was called to set the house of God in order---and how he terrorized their colony. Claiming to be God's avenger and to have a license to kill in the name of God, Ervil ordered the murders of friends and family members, eliminating all those who challenged his authority. Cult Insanity is a riveting, terrifying memoir of polygamist life under the tyranny of a madman. The author of The New York Times bestseller Escape returns with a moving and inspirational tale of her life after she heroically fled the cult she’d been raised in, her hard-won new identity and happiness, and her determination to win justice for the crimes committed against her family. Helped me to look at the raid differently. "My father had more than 50 children." 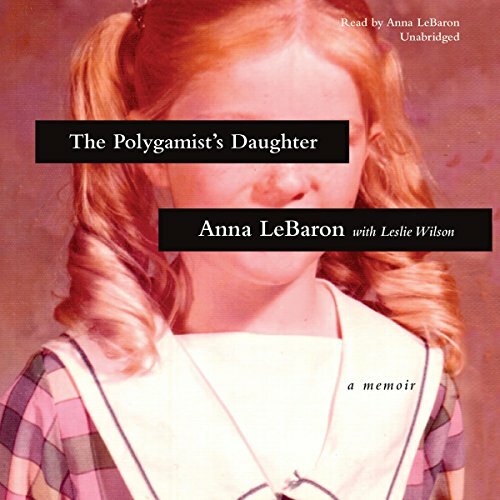 So begins the haunting memoir of Anna LeBaron, daughter of the notorious polygamist and murderer Ervil LeBaron. With her father wanted by the FBI for killing anyone who tried to leave his cult - a radical branch of Mormonism - Anna and her siblings were constantly on the run with the other sister-wives. Often starving and always desperate, the children lived in terror. Even though there were dozens of them together, Anna always felt alone. She escaped when she was 13 - but the nightmare was far from over. A shocking true story of murder, fear, and betrayal, The Polygamist's Daughter is also the heart-cry of a fatherless girl and her search for love, faith, and a safe place to call home. ©2017 Anna LeBaron (P)2017 Blackstone Audio, Inc.
Couldn't stop listening. This memoir reads like a novel, LeBaron was the perfect choice to read her own story. I will listen to this one again. I think I have read every book that is written by someone who would been a part of the LeBaron cult. I have to say that this one was probably my favorite. I think because it gave such hope in her relationship with Jesus Christ that Anna was able to find as she struggled to get over The horrific acts of cruelty and neglect that this girl had to endure for the sake of a madman with far too much power. I think of the words from the book, Unbroken, apply to this cult leader, "The fatal poison of irresponsible power." This book is full of heart wrenching details about little Anna's life but is beautifully redeemed at the end. I definitely recommend it! Loved this amazing story of Gods beautiful redemption of something unimaginable. This story is so important as the scope of the cult is widely unknown. You won't be able to stop listening. Anna tells her life story incredibly well. It's awful and astonishing at the same time. I recommend this to all my friends. Please, don't pronounce Jesus, "JeSUS." What character would you cut from The Polygamist’s Daughter? Before I delve into why I disliked this book, I will tell you that I was born and raised Catholic. I chose to earn my Bachelor’s degree at a Catholic university, and I was only one class short of a Catholic Studies minor. While I don’t consider myself a religious person, I do have strong Christian values and my Catholicism is very much a part of my identity. That being said, I will never purchase a book without checking its publisher ever again. This book was published by Tyndale House Publishers, which publishes Christian works. That’s all good and fine, if that’s what you’re looking for, but this was simply filed away as “True Crime” on Audible. If I were to have looked up its genre, listed differently on Amazon, or looked further into its publishing company, I wouldn’t have chosen this book. The book was quick and interesting, up until the point where I realized this book was actually about going from one religion to another. I lost interest afterward, which is too bad because it reverts back to more true crime. As previously mentioned, I’m far from an atheist. Though, because I thought this was a book about true crime and the toxicity of a particular system of religious worship, I ended up sorely disappointed. Anna's story is a beautifully woven courageous retelling of the fabric of her complicated and oftentimes painful story of her life. I both wept and rejoiced with each story she shared throughout her healing journey. very interesting book well read by the author. what a happy ending to know how she turned her life over to Jesus Christ. this book, and once you get involved it's really hard to put it down. The thought of this little girl alone and abandoned in a foreign country with no way to gain control over her life is frustrating. And to think her own parents have put her in this situation is just insane. It did struck me as strange thought that after all she's been through in the name of one absolute belif she is so willing to accept another , and to give this new concept of God so much power over her sense of well being. 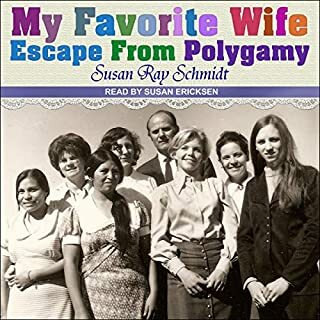 Where does The Polygamist’s Daughter rank among all the audiobooks you’ve listened to so far? One of the most engaging stories I have listened to in some time. What other book might you compare The Polygamist’s Daughter to and why? I can't think of one, though I thought of stories by holocaust survivors on several occasions. Anna lived through her own holocaust in a way. I wouldn't try to say that. I'm grateful for the few friends and the best Christmas ever (first Christmas ever) and for Mark and Lillian. Where do I start? Anna LeBaron ... what a tremendous book! 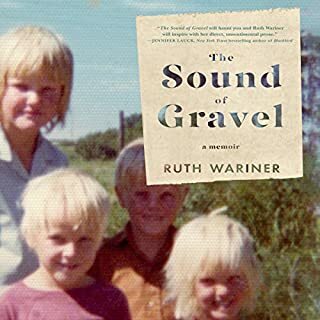 This true story of a girl who grew up in multiple states under a polygamist cult which centered around her father, Irvil LeBaron, will rock you to the core. I was riveted. I sometimes found myself saying, "OH, Anna!" in the middle of reading. I just wanted to jump into the book and help her along or get her out of a tough situation. At other times, I was so moved at the sweetnesses she experienced along the way. This is not merely a documentary from the perspective of a child in a tragic upbringing. 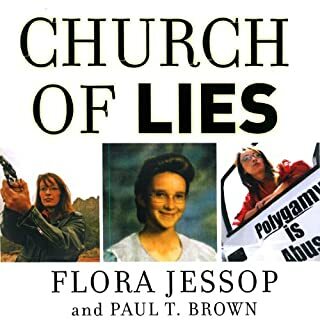 While you do learn a lot of the ins and outs of what a polygamist family can be like, the facts are not what will keep you reading. Amidst the extremely penetrating traumas throughout Anna's life, there is the constancy of her indomitable spirit. What would have taken many under, never completely did her in. As you read The Polygamist's Daughter, you find the kind of hope that does not disappoint. You will be in awe as you walk through Ana's experiences, enduring all she did and rising from the ashes of her challenging upbringing to be the woman she is today. Anna is a wonderful storyteller. If you are into audiobooks (I sure am!) give yourself the blessing of listening to Anna tell her own story. Some authors are not storytellers and were never meant to read their own writing aloud. Anna has a gift of telling her story in an engaging and suspenseful way. I never knew if she were about to have a surprisingly sweet outcome or if yet another tragedy were about to befall her. I hope my review is screaming: Go get this book! What are you waiting for? Go. This is an unflinching look into life in a polygamist cult. LeBaron showed immense strength in writing this book, a journey with wonderful highs and devastating lows that she is all to happy to share with the reader. LeBaron read this herself for the audiobook which I listened to. It added so much emotion and gravitas to what she describes. While it was harrowing and heartbreaking to hear what the members of the cult were put through as children, LeBaron often found small specks of joy and fun in its midst. These explanations of the good but mundane things that occurred would have been lost on me in another book, but because I knew about the horrible actions some of the other family members were involved in they became like an escape for me also. I smiled every time young Anna was overwhelmed with joy from a generous stranger or family. As Anna grows up, the narrative shifts from her inner monologue of ignorance to one that questions everything she sees and hears, but the writing style does not become cumbersome to hear. Everything is still peppered with LeBaron's thoughts about a situation but how high the stakes are begins to show. Reading more about the story, I'm not surprised there are several other books written about the Ervil LeBaron murders - it's a shocking but completely enthralling story. I need to read more! Listening to the book read by Anna herself, I was continually floored by the things that people can do to people - and maybe more importantly: the things that people can process and move on from. Toward the end of the book, there's discussion of planning to write it and even some of the process. This brought it from a story that, while true felt like a different world into this one. LeBaron has a website and speaks about her ordeal to encourage others - what a truly inspiring story! My highest recommendation, and I think this is a definite 'listen-to' book!